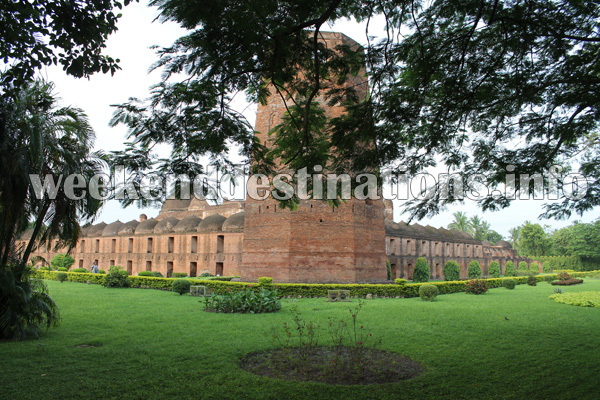 Places to visit around Baharampur: Being the erstwhile stomping grounds of Bengal’s former colonial powers, Baharampur is steeped in a rich cultural and historic tapestry. Even today, spectacular architectural remnants of colonial buildings and tenements that were built during the Raj era continue to stand tall amidst the city skyline. Some of the notable places to visit around Baharampur are – Hazarduari Palace, Katra Masjid, Barrack Square, British Town Hall, Nizamat Imambara, old British Barracks, British Administrative houses, Central Jail, Krishnath College, British Town Hall, Saidabad Palace, Old Cossimbazar Palace, New Cossimbazar Palace, Nashipur Palace, Home of Jagat Seth, Jafarganj Cemetery, Kathgola Palace, Fauti Masjid, Namak Haram Deorhi, Khushbagh, Pataleshwar Temple of Cossimbazar, Residency Cemetery of Babulbona, Dutch graveyard of Cossimbazar, Old English Graveyard of Cossimbazar, Residency Cemetery of Babulbona, Dutch graveyard of Cossimbazar, Old English Graveyard of Cossimbazar, Cemetery of Burmese King Thibo, Laldighi Park and Motijhil Park. Nearby attractions of Baharampur: The region in and around Baharampur is teeming with a surfeit of tourist attractions, some of which were mentioned previously. The famous Hazar Duari located in Lal Bagh is approximately 30 km from the city. The road leading to this historical site is dotted with several other remnants of buildings built by the Nawabs of Bengal. These include the Palace of Cossimbazar, Katra Masjid, Motijhil and Imambara. Karna Suvarna, the erstwhile capital of West Bengal is also located in close proximity to the city. 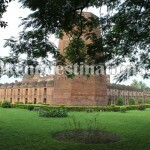 The Jain Temples of Jiaganj are also very popular attractions around Baharampur. 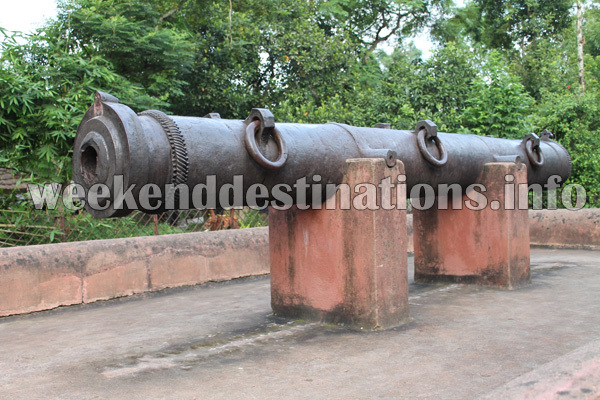 Things to do at Baharampur: One of the popular things to do while in Baharampur is to attend its many festivals. These occasions are celebrated with a lot of pomp and pelf. The festivals are a riot of color and sounds and play an integral role in fostering communal harmony in the area. Durga Puja, which is celebrated zealously throughout West Bengal is also one of Baharampur’s most anticipated festivals. Charak Puja is another such occasion that induces the locals into a spirit of revelry and excitement. It commemorates the passing of the year, whilst ushering a new prosperous one for the celebrants. You can also take a boat ride from Baharampur to Murshidabad over the Bhagarati River (Ganges). Special rides during the Full moon can be life time experience to remember. By Rail – Baharampur is well connected by road and rail to Kolkata and its neighboring cities and towns. There are three railway stations in the vicinity; They are at Baharampur Court Station, Cossimbazar Station and Murshidabad Station. These stations can be accessed via the Sealdah Lalgola line. The trains that operate daily between Kolkata and Baharampur include the Sealdah Lalgola Bhagirathi Express, Lalgola Fast Passenger and the Hazarduari Express. There is a tri-weekly express train by the name of Dhanadhanye Express, which also takes the Sealdah-Lalgola route. Additionally, Khagraghat station can also resorted to with a number of trains including Kamrup Express, Teesta torsha express and the Intercity Express that take this route. By Road – The city of Baharampur enjoys excellent connectivity by road as well. It is also well connected to National Highway 34. Visitors can avail of daily bus services from North and South Bengal. In fact, the city is a converging point for buses arriving from Asansol, Bhutan, New Jalpaiguri, Durgapur, Malda, Siliguri and many other cities and towns. Best time to visit Baharampur: Winter is possibly the best season to visit Baharampur as the temperatures remain pleasant and conducive for a holiday. The best months to see the place are between October and April. On the other hand, visiting during the summer should be avoided as it gets incredibly warm and humid during this time. Accommodation & Fooding at Baharampur: Visitors to Baharampur can avail several types of accommodation options ranging from budget and medium to deluxe. 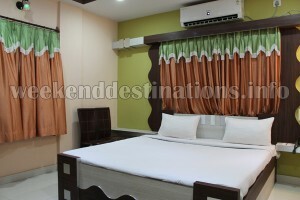 Our hotel at Baharampur has Standard, Deluxe, Super Deluxe and Executive rooms. With all standard facilities like AC, Geysers, attached modern bathrooms, spacious rooms, conference hall, multi-cuisine restaurant our hotel is one of the best places to stay and dine at Baharampur. We also have non-smoking rooms. If you want to visit Murshidabad but looking for luxury accommodation, then our hotel at Baharampur can be the best choice.